. . . Now, check out the worldwide PC shipment data: note that almost 53% of PC shipments are from manufacturers smaller than the #5 vendor, meaning that over half the PCs shipped world-wide are from manufacturers with 3% market share or less. . . Yes, but these small companies, selling under 3 percent market share, are not concerned with keeping X86 hardware and the Windows operating system a strong, viable platform. Apple has such a challenge, and needs to increase market share. Let's not see how low it can go before the Mac platform disintegrates. Dropping prices on current Macs will not do the trick. Apple must design a Mac that can be sold for a lot less (than existing Macs) and still give Apple a profit. Apple doesn't need to be in the loss-leader business to do better at the low end. The iMac V3 will be nice, and I hope it sells well. However, it's not going to serve the low end. The low end need a very flexible design because needs are so diverse. The eMac, or any AIO, does not cut it. Edit: Parenthetic phrase added for clarity. Won't happen. PC suppliers have access to the same parts that Apple does. Macs won't be cheaper than PCs but that doesn't mean the value of a Mac has to be less. What Apple needs are capable computers that sell. A decent software strategy and some breakthroughs in new diverse areas. The iPod/iTMS provides one breakthrough that should become a billion dollar addition to the Apple coffers. iTMS is turning a small profit and with further efficiencies could be a nice recurring revenue stream. Apple needs to beef up .Mac, it needs to become indispensable for Mac users. 500k users isn't enough. .Mac subscriptions need to be in the millions. That $8 dollars a month should be like a cash register going off for Apple. Licensing- Surely Apple cannot be licensing their software like they could. That's where not being on the business desktop in large numbers hurts. There will be licensing opportunities for Apple with iTMS but they need more ways of putting money in the bank. I'm eager to see if they've corrected some of the faults of the last iMac(weak hardware). If Apple gets the iMac back in order saleswise and keeps the iPod red hot they will be fine. I read you. But I've been waiting like three months now for Zbrush2. The marketshare situation has now become sufficiently severe that it is impacting product availability. Several of the apps that I do use have the feel of "one day port" to them. I honestly believe that Apple can create a classy powerful headless computer that the people want. The problem is just that somewhere along the way they let the definition of iMac become all-in-one computer. Recall that the original iMac was revolutionary for a lot of reasons and this was just one of them. Yes I think the lack of marketshare is hurting Apple when it comes to apps. Even when Apple gets a nifty app first it is very hard for the developer to stay Mac only because they gotta make as money as they can and that means PC versions. Even Apple benefitted from this by extending iPods and iTMS to PC users. That to me is the strategy. I'm not saying bring iLife to windows but Apple needs to be looking at new ways of building off of the good will it has engendered within the PC community with regard to iPods/iTunes. Make money where it makes sense to and use this to subsidize low end computers. What I honestly think is Apple must continue to grow their business by diversifying. More shrewd aquisitions are needed that can add to the coffers quickly. If we can listen to a conference call two years from now and hear that Apple is on pace to generate 13 billion in revenues with 8 billion in reserves then we know we're on the road to recovery. Today the weaknesses are too evident. Apple has no strategy for geting on the business desktop. Dell is eating up their edu possibilities. Apple is still heavily under MS' thumb. Mac hardware won't break free and until these areas have a bright future IMO.
. . . Today the weaknesses are too evident. Apple has no strategy for geting on the business desktop. Dell is eating up their edu possibilities. Apple is still heavily under MS' thumb. Mac hardware won't break free and until these areas have a bright future IMO. I agree. Here is where Apple needs a new type Mac, with some models that sell for less than present day Macs. Apple does not need to sell for less than X86 PC hardware, in my opinion, but Apple's prices must be close enough for consideration. To cover the numerous needs in many markets with one type of Mac, it must be headless and have expansion slots, a lot like the X86 competition. Even within the two markets you mention, business and education, there are a wide variety of needs that require something more flexible than the all-in-one eMac. Whether the new iMac is headless or not (I still think it'll be an AIO) there is still room in Apple's product lineup for a cheap desktop like the the Quadra 700 (not cheap actually at £4000), and Powermac 7300 etc used to be. I currently have a G4 iMac 17" and I want a G5, but there is no way I can talk my girlfriend into having that "hulking great thing" in the living room. So what we need is a Mac which is girlfriendly but still let's prosumers upgrade RAM, HD, and Graphics cards easily. 172x! isnt it from samsung. it does get close to the styling in my opion. 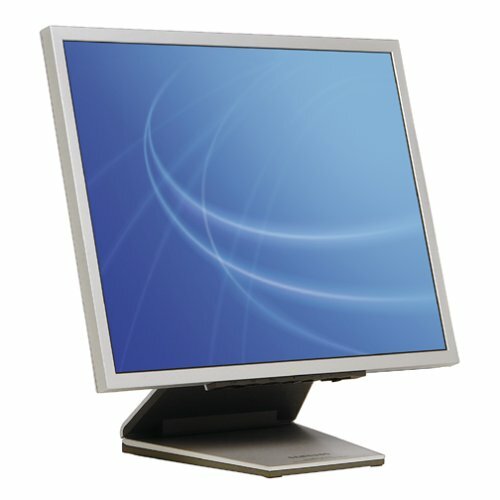 most likely my next monitor to go with my powermac. since apple seemed to have lost interest in a 17". that samsung is a good looking display. They report profits from operations not interest. Good accounting measures mean that companies can only report profit or loss from operations, not interest. While these numbers are included they are not counted. The way this inpacts the share price is the ever increasing book value of a company with large and growing cash reserves. If Apple made 200 mil from interest they could not use this as income. If businesses could count profit from interest and investments Microsoft and many other fortune 500 companies would not need to continue operations their interest could float them. While eating lunch and looking at a Macworld mag today an idea came to mind that seemed logical.. at least to me. If this has already been discussed previously, please forgive me. It seems like the current line up of cinema displays are one short of a full line up... I'm referring to the lack of a 17" for those consumer level apple fans that don't want to spend over 1,000. It seems to me this 17" that is missing could be for a very good reason. It would logically be the appropriate bottom rung display for the new and upcoming iMac to be released in Sept., and they wouldn't want to give any hints that they just may be selling iMacs that can have any one of the current aluminum displays attached to an aluminum arm extending from the new iMac's modular base. I believe they will market the new iMacs in pieces for you to upgrade to your hearts content. That is my prediction... a new line up of iMac modular base units that have the usual tree of differing processor speeds, etc, but give you the choice of either a 17", 20" or 23" cinema display currently in production. Of course this would be easy to do and would allow those who initially buy a 17" for their iMac and want to upgrade the ability to have the 23" display of their dreams. Another trick I think would be nice if they had up their sleeves would be that you could buy two iMacs to be connected with a fibre channel and would allow you to have a dual processor and dual 17", 20" or 23" Aluminum displays side by side. Or for those who just want more processing power and don't need more screen real-estate to simply buy another iMac module, remove the aluminum arm and connect with a fibre channel to the first module to create a dual processor setup. This system seems to give you the ability to start small for around $2,000 and then expand in the future to meet your growing needs. This is merely me brainstorming, so don't expect this will be what apple is going to do. I just couldn't help imagining what I would like to see in September. Aside from the monitor complaint, there is no reason to think that these will definitely be the case with the next iMac - or a Wintel all in one. They may be the norm now, but that doesn't mean they always will be. "Good accounting" also expenses options which is not done (by most of the tech companies). To do so would give a true indication of the companies' business instead of the very misleading statements currently used. Apple is not alone in this practice, however. So.. does anyone think this is a possible route for the new iMacs to take next month? Strangely enough, not many Mac users OR members of the press noticed the listing of Xgrid incorporated into Tiger, when Jobs did his preview. Steve didn't even mention it, but it was right there on his slide! THIS IS BIG!!! Xserve RAID features dual 2Gb Fibre Channel ports for ultrafast data transport between the storage system and the host computer. Previously available only in high-end RAID systems, this industry-standard interconnect technology provides superior bandwidth, availability and deployment flexibility over earlier-generation SCSI technology. Each 2Gb Fibre Channel port offers 200MBps bandwidth for a total throughput of up to 400MBps. Fibre Channel is the only storage connectivity technology that provides guaranteed bandwidth, so the host computer receives data at the same high speed as the RAID system sends it out. Steve will certainly maintain the tradition of an all-in-one Mac for people that just want to plug it into the wall and it works. That said, I've still got my fingers crossed for a 20th anniversary G5 Cube (headless) to pop out of nowhere. Apple has obviously learned about the power of low-cost lustworthy products (e.g., iPod, Airport Express, etc.) so I beleive that they know that they need a reasonably high-performance computer for under $1,000. I'm hoping it is a minature version of the Powermac G5 with one processor, one hard drive, and maybe one expansion slot. That's all most people need. Apple would sell a lot of those cool new displays! Steve will certainly maintain the tradition of an all-in-one Mac for people that just want to plug it into the wall and it works. Yeah, the.... 1% of computer buyers? Most people want to keep the nice LCD they buy with their system or use an existing screen. Apple doesn't get this.